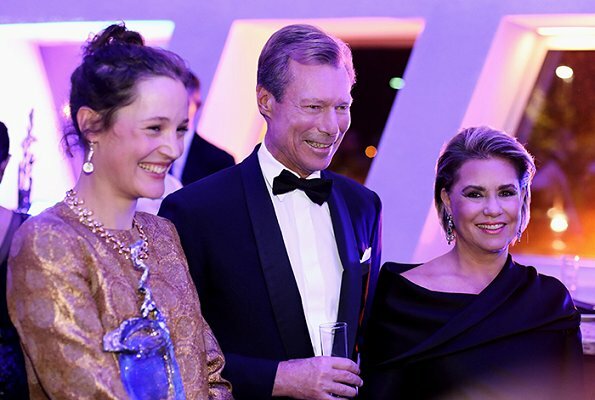 Yesterday, on September 22, 2018, Grand Duke Henri and Grand Duchess Maria Teresa of Luxembourg attended Lëtzebuerger Filmpräis 2018 Awards Ceremony held at Grand Théâtre de la Ville. 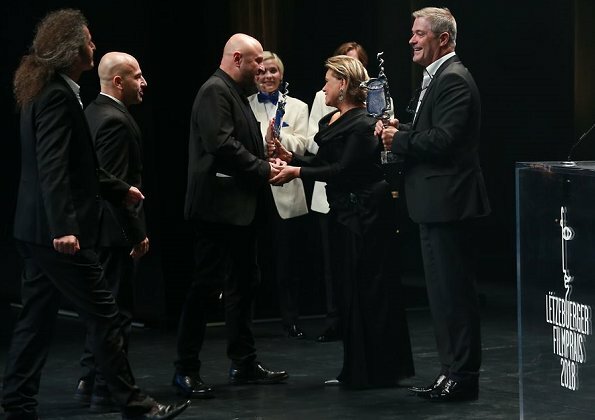 The film industry celebrated its works with an award ceremony this Saturday. Film director Govinda Van Maele was deemed worthy of The Best Luxembourgish Feature Film award with the film "Gutland". Vicky Krieps received "Best Interpretation" award for the best acting performance. Prize for the best Luxembourgish feature film or animation: Gutland by Govinda Van Maele – Les Films Fauves. Prize for best feature film in co-production: Noces by Stephan Streker – Tarantula Luxembourg. Award for the best animated feature film in co-production: The Breadwinner by Nora Twomey – Melusine Productions. Best Documentary Award: La Supplication by Pol Cruchten – Red Lion. Best Short Feature Film Award: Fils by Cyrus Neshvad – Cynefilms. Best Production Award "TV and New Media": Bad Banks by Christian Schwochow – Iris Productions. Prize for the best creative contribution in a fiction or documentary feature film: Uli Simon for the costumes in Egon Schiele. Award for the best creative contribution in an animated feature film: the 'Animation' team from Melusine Productions/Studio 352 for The Breadwinner. Best Interpretation Award: Vicky Krieps for her role in Gutland. 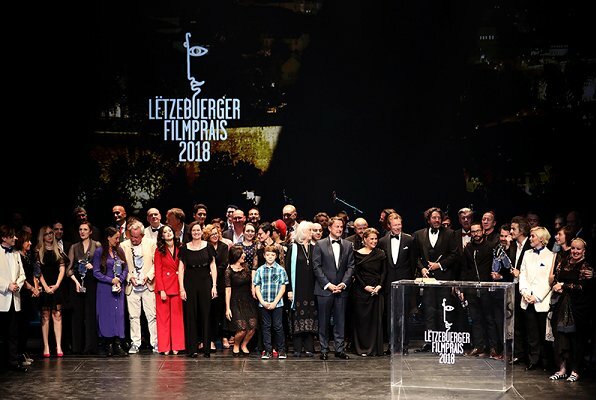 The Lëtzebuerger Filmpräis was created in 2003. 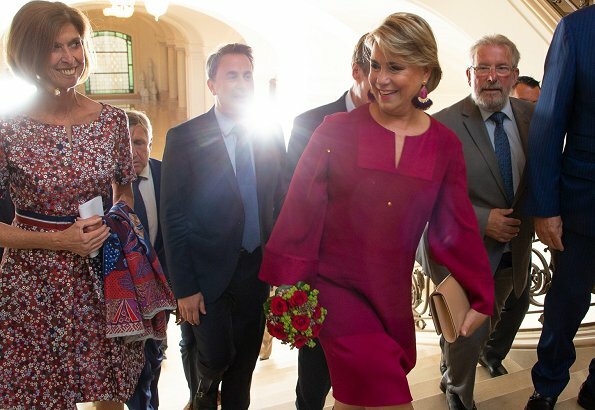 It aims to reward the best contributions to Luxembourg cinema, to showcase quality works, to encourage cinematographic creation, to promote the development of the film industry in Luxembourg and to attract public attention to Luxembourg productions. It is held every two years. 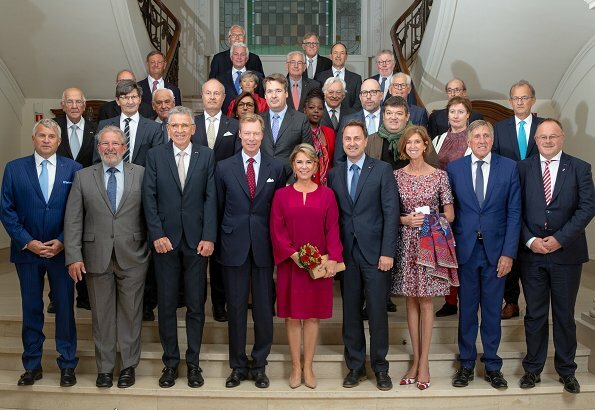 On September 21, 2018, Grand Duke Henri and Grand Duchess Maria Teresa attended celebrations at Luxembourg Cercle Municipal Culture Center, held on the occasion of 200th anniversary of establishment of the Medical College. At a film prize award event, this brought out a stunning looking Grand Duchess.At the Culture Center event MT wore a lovely magenta dress. It seems she lost a lot of weigh looks good on her. Love her new hairstyle too. Elegant duke and duchess . 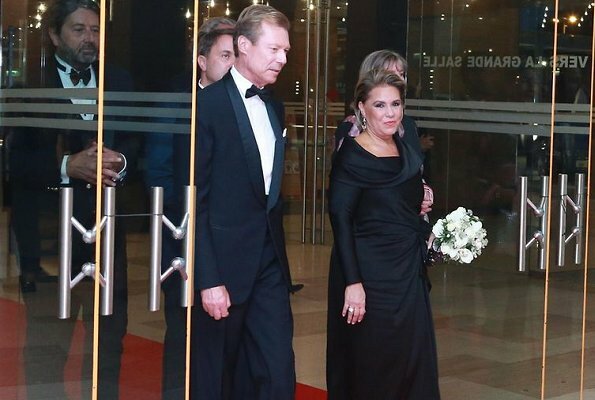 Siempre muy elegante MARIA TERESA! The Grand-Duchess looks fab! She has lost a lot of weight, and this different, more modern hairstyle looks great on her! She oozes happiness! I agree. She has definitely stepped it up on all levels,and I'm sure that helps her shine in public. There is something really odd about these photos taken one day apart according to the comments. The Grand Duchess looks remarkedly slimmer from one day to the other and I did look closely and don’t think it is the outfits. A lot of her photos have been photoshopped lately to make her look slimmer. The red dress is gorgeous, she does look very slim in this dress. I don't think these two photos are photoshoppes, because this would be difficult in a group photo. But then again I don't understand, that one day later in the black dress, she looks heavier again. Strange thing, she seems to be a chameleon who changes weight from day to day back and forth :-)) and we are not talking about two or three pounds but some twenty ot thirty pounds. I just can't figure out what is going on. I believe the last one in the red dress was definitely photoshopped and you can do one person in a group. Just look at her legs, the are much heavier than this and, even if she lost a lot of weight, her legs would not be that slim this fast. I don't think it's all photoshop, there's a real noticeable weight loss. Maybe it's angles or just fabric and cuts of the clothes she's wearing. Yup. She knocks it out of the park on both occasions. First I thought she looked fabulous in the black outfit (nice neckline look) but then I saw the magenta outfit and she looks even more stunning in that full ensemble. The weight loss looks really good on her. I suggest you read the comment of Linda. You could think she is a different person in every event. Difficult to explain. The Grand Duchess looks great. The photos of her in the black evening gown are clearly at nighttime. Were the pictures in the red dress taken during the day or night? There is a divorce proceeding in the family and it seems that would cause stress for a grandmother concerned about 2 young grandsons; her weight is between her and her doctor, though happy to see her slimming down.